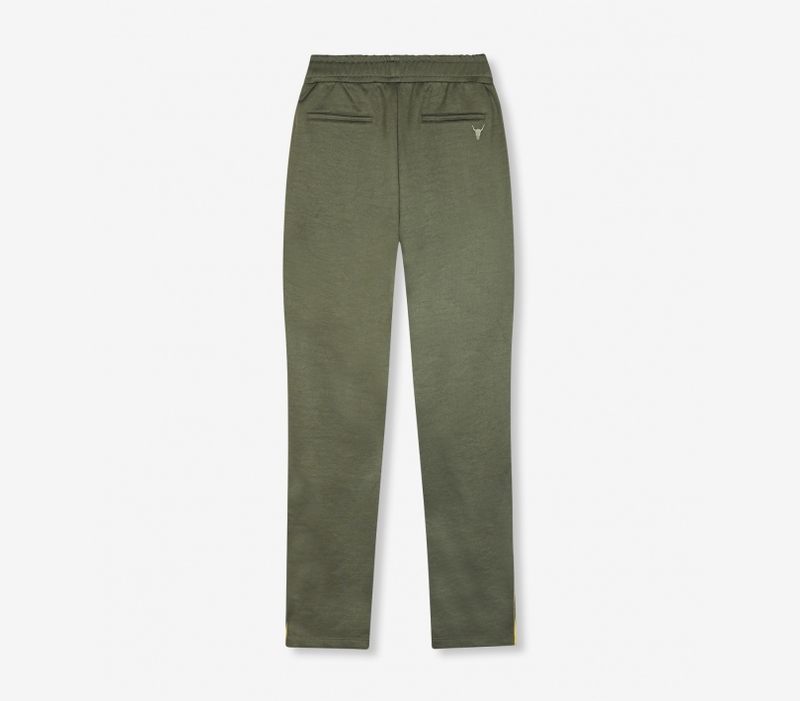 Relaxed joggers pants cut from a shiny sweat jersey. With elasticated smock waistband, metal zippers an pin tuck at front leg. The slit at bottom hem is finished with Alix logo tapes. Relaxed fit with normal waistband, straight leg and slit at sides of bottom hem.